Many notices will be sent to vendors via e-mail and text messaging. Please provide accurate information below that will ensure your receipt of 2019 Holy Convocation Vendor communications. 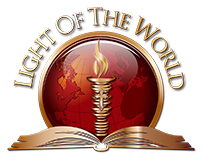 DISCLAIMER Light Of The World has the right to refuse to allow vendors to sell and/or display items that might compromise the integrity of the ministry and organization.